Other indicators that might identify specific persons. For example, you may send an email regarding details about a reported issue to your company, and remove all names from the issue details. However, if the issue details contains information about a type of vehicle that only one person in your organization operates, then you have essentially singled that person out (and that fact that you removed their name didn’t matter). How transparent your company wants to be about safety information. To structure your stance on confidentiality, you need to consider factors that affect confidentiality in SMS. What type of aviation service provider are you? How is your existing aviation safety culture? What controls around employee access to information does your company have? What kinds of information are you preparing for audit readiness (i.e. what information do you NOT want auditors to see)? In short, different organizations will have different needs for confidential information in SMS. Some aviation service providers will have a high degree of confidentiality, other will have a low amount of confidentiality. It can be a good practice to structure confidentiality around the severity of risk assessment. The size of your organization can great affect confidentiality in your SMS. In larger organizations, there is greater need to have a confidentiality policy to protect confidential information. In smaller aviation service provider organizations, people know each other and people talk. If something happens, most everyone is likely to know about it. There is a different mentality about confidentiality and transparency in such organizations. In larger organizations, you need to more carefully consider confidentiality. Things will happen that other employees won’t know about, and people involved in the safety incident may not want others to know about (such as in medium-high risk issues). In such a case, you need to have a confidentiality policy that states how much information is released in certain situations. Existing culture around privacy, retaliation, and teamwork can also greatly affect confidentiality in your SMS. In mature aviation safety cultures, you have flexibility with your stance on confidentiality. Knowing specific details about people involved may actually help keep things safer in future. Opt not to report safety issues next time. Before committing to a confidentiality policy, make sure to assess your safety culture. Physical access to information will also affect how you take a stance on safety. If you have rigid controls in place regarding information access, then you don’t need to worry as much about sanitizing safety reports. 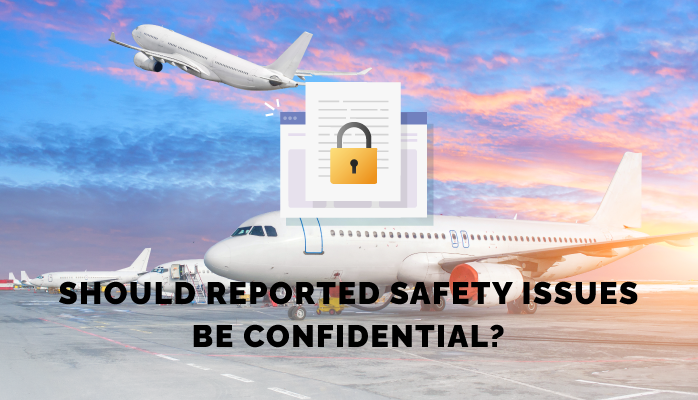 For example, if you have an aviation safety management software that naturally filters reports based on your user role in the company, then only people who should have access will have access to information. If you are a company who is using Excel spreadsheets or Google sheets, you have much less control over information access and should be sure to take steps to sanitize reports heavily, depending on your approach to confidentiality. Your stance on confidentiality should align with your transparency goals. If you have opted to have a low degree of transparency, then you should have a stance on confidentiality that is more conservative. Having a liberal stance on confidentiality (i.e., you don’t sanitize safety reports) but a high level of transparency, then you are likely to run into trouble because you have a conflict of interest with confidentiality and transparency. There is probably some information in your SMS that you don’t want aviation SMS auditors to see. This information is confidential in the sense that it is an organizational secret. There can be many reasons for why you don’t want auditors to see such information, but the point is you need to ensure that such information is kept safe from auditor’s eyes. 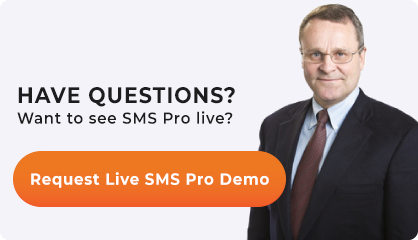 You might document this information separately from your normal SMS documentation (in the case of paper/spreadsheet based SMS), or flag certain reports as being hid from auditors (in the case of aviation SMS software). Finally, the last thing you need to consider for confidentiality is what industry you are in. Are you a public service aviation service provider? Do you contract from companies who have their own confidential policies? You simply need to carefully consider the needs of your your company works with and ensure that your confidentiality values align and service those with whom you work. Published July 2018. Last updated January 2019.